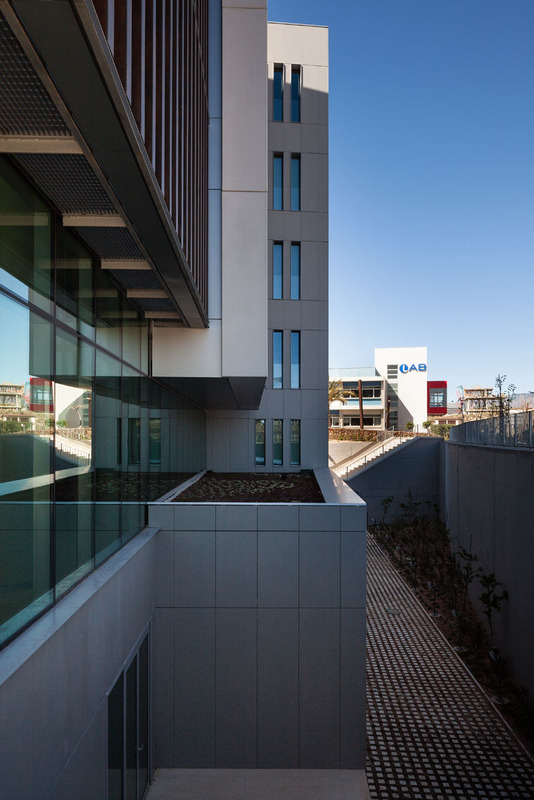 Dekton®, in the colour Sirocco, was used for the façade of the new Cajamar headquarters as it is a uniform colour, has very little veining and, ultimately, because it is a colour that does not aspire to “emulate” any other type of stone or any other existing material. Dekton®, applied to the façade, has acquired its own identity, and the colour Sirocco has contributed enormously to this. The grey limestone of Sirocco is pure elegance and its texture affords it a completely natural look and a sobriety beyond compare. 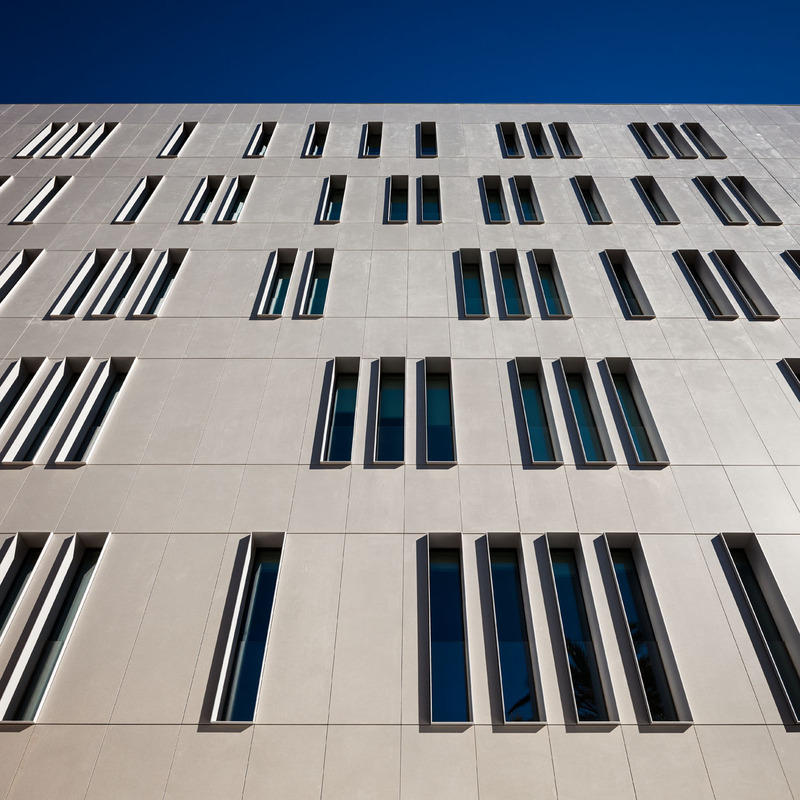 The most interesting architectural feature of the building is the aesthetic contrast created by the three types of façade that can be seen: a large white volume of GRC photocatalytic panels, a ventilated Dekton® façade in the colour Sirocco, and a curtain wall protected by ceramic slats. Another distinguishing feature is the aesthetic continuity of the design, an effect achieved thanks to the exterior flooring, done in Dekton®, colour Danae, that has been used in a discreet and elegant way up to – and into – the building itself, and covers all external areas that the public has access to. LOCATION: Parque Tecnológico de Almería (PITA). Avda. de la Innovación, 1. Autovía del Mediterráneo (A-7). Exit 460, Almería. ARCHITECTURE STUDIO: Arapiles Arquitectos Asociados 15, S.L.P. ARCHITECTS: Alfonso Monje de Pro, Luis Fernández Martínez, Mª del Mar Fernández Viciana and Segundo Cañadas Espinar. Application: Indoors flooring, outdoors paving, wall cladding and lifts Material: Dekton® by Cosentino Colour: Danae Thickness: 12 mm Quantity: 2,500 m2 Formats: large format pieces e.g. 1.33×1.36. 1.33×1.26m.or trapezoidal pieces 1.55/1.67×1.36m. 1.67/1.71×0.51m. Application: Stairs Material: Dekton® by Cosentino Colour: Danae Thickness: 12 and 20 mm Quantity: 1,000 linear metres Formats: large pieces, e.g. 2.55×0.32m stairs. 2.55×0.16m risers. 2.55×1.22m stair landing. 3.20/2.76×0.32m trapezoidal steps (95º stairwell). Application: Bathroom panelling Material: Dekton® by Cosentino Colour: Kadum Thickness: 12mm Quantity: 45 m2 Format: large format pieces, e.g. 2.40×0.80m. 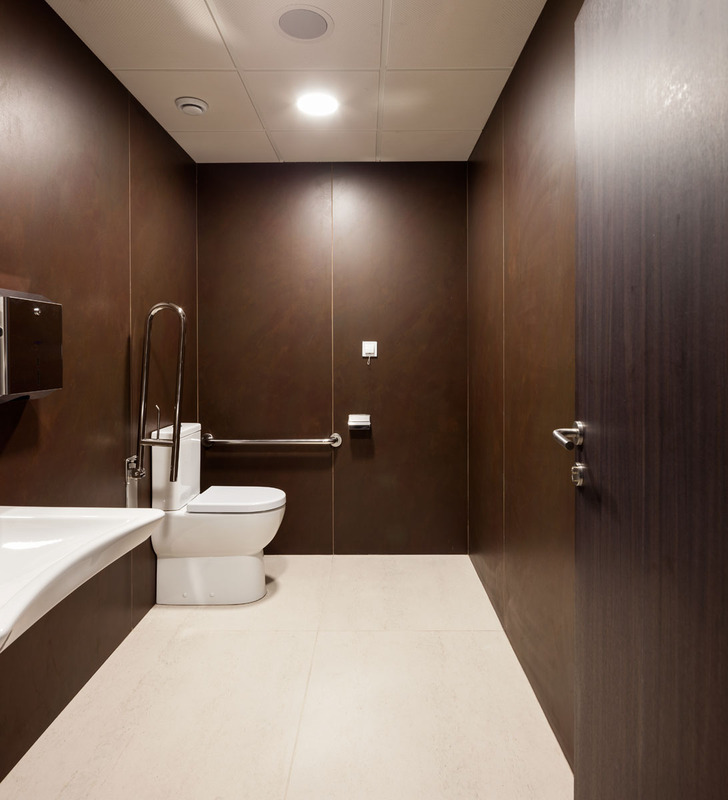 PROPERTY DEVELOPER: Cajas Rurales Unidas, S.C.C..
DEKTON®, IN THE COLOUR DANAE, HAS BEEN USED BOTH FOR THE INDOOR FLOORING AS WELL AS FOR THE EXTERIOR OF THE BUILDING, WHY? It was necessary to use a colour with a Solar Reflectance Index of SRI> 78, and the colour therefore had to be very light in order to avoid a “heat island” effect. Inspired by Roman travertine, Dekton®, in the colour Danae, with its creamy colour and matte finish suggesting a classic warmth, was perfectly suited to the building’s technical requirements. 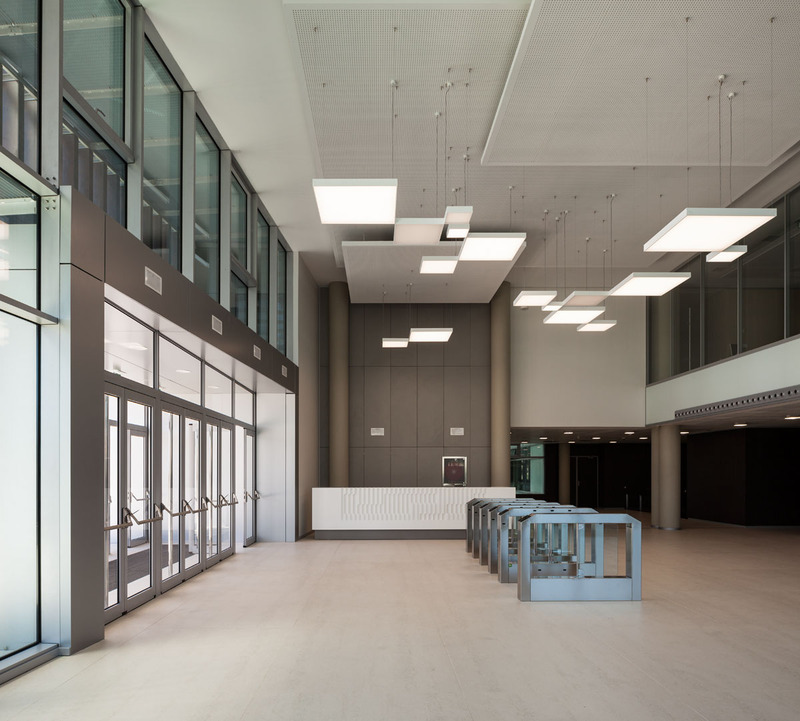 The idea of using Dekton® in the colour Danae for the inside of the building as well, lent itself to the decision of differentiating areas with higher traffic from those with less traffic. 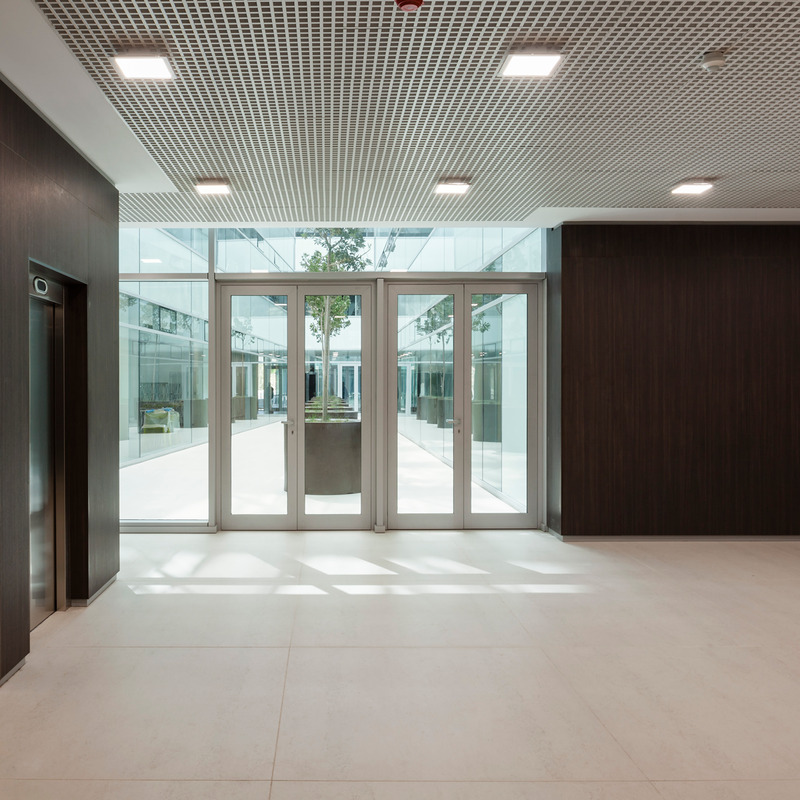 Visually, it can be seen how the material enters the building via the flooring, from the exterior to the indoor lobbies – including the stairwells –, affording a combination of warmth and uniformity of design. Dekton® allows a uniform design to be created, making all the walls of the building appear clad in a single covering. Qualities such as its high resistance to ultraviolet rays, its resistance to frost and thawing, its colour stability and high stain resistance are essential properties for its use for exterior façades with these characteristics. The fact that it is easy to assemble – thanks to the precision of the material that incorporates a structure for its support – is also important. There is a very good union between the CAT1 Wandegar system, used for the support, and the Dekton® slabs. The large size of the Dekton® slabs creates an image of high quality and brightness in the areas paved with this material. From a functional point of view of its properties, its hardness and the fact that it is hard-wearing in areas of continuous foot traffic, make it a perfect product for spaces that are used intensively. In addition, its easy daily maintenance is a huge plus to highlight for buildings with high levels of activity. Stairs form part of the continuation of the flooring of the building and receive a high number of footsteps every day. Dekton® is an ideal surface for high traffic areas and is hard-wearing thanks to its high resistance to abrasion, its hardness and strength. Another great advantage that Dekton® offers – and one has been most valued for this project – is the fact that the steps can be manufactured in one piece without having to have joints between them. 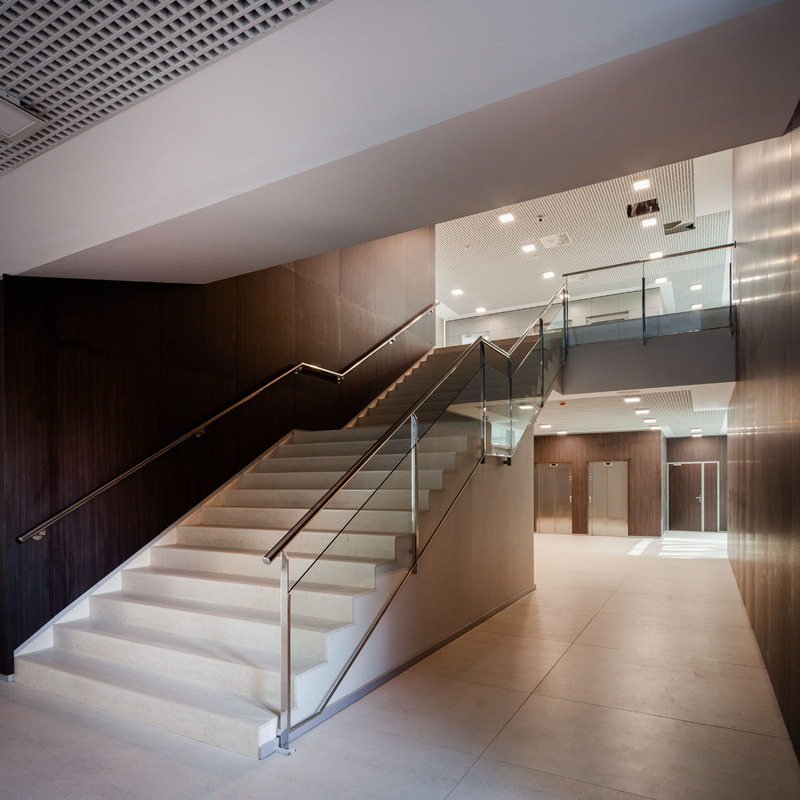 DEKTON®, IN THE COLOUR DANAE, HAS BEEN USED FOR THE INDOOR OFFICE STAIRWELLS, WHY? Specifically because the inner stairwells of the building do not receive much daylight. The light, creamy colour of Dekton® Danae avoids these spaces being engulfed in darkness, affording good visibility from step to step, and staircase to staircase. DEKTON® HAS BEEN USED, IN COLOUR KADUM, AS CLADDING ON THE WALLS OF THE BATHROOMS. Aesthetically, the Kadum tone and its industrial appearance give the space a unique colour, it is both timeless and sophisticate and fills the interior with beauty and perfection. Dekton® is ideal for worktops, flooring and any cladding for the bathroom owing to its excellent water-resistance qualities. Thanks to its high resistance to hydrolysis, the material does not alter, either in composition or aesthetics if it is in contact with liquid for extended periods of time. This ensures the durability of the material, as well as easy daily maintenance and has made it the perfect choice for use in bathrooms on the ground floor of the building. AWARDS AND CERTIFICATIONS OF THE NEW CAJAMAR GROUP BUILDING. The new Cajamar headquarters has the LEED GOLD sustainable buildings certification, issued by the US Green Building Council. 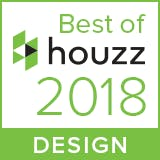 This certification provides verification by a specialised and independent agency that the building meets the highest standards of efficiency for sustainable building, including aspects related to energy efficiency, use of alternative energy, improving indoor environmental quality, efficiency of water use, sustainable development gaps and selection of the materials used. Currently there are 49 buildings with LEED GOLD certification in Spain and out of them only one in Andalusia. Furthermore, the building has obtained the “A” energy rating awarded by the Andalusian Energy Agency, due to the reduction in energy demand from the heat, roofs and air conditioning and ventilation systems. Finally, according to the parameters of the Guide to Sustainability of the technological park, these Cajamar facilities meet 98 out of the 100 sustainability parameters, and is rated as “excellent”..
ETE / ETA: European Technical Assesment: Dekton® has obtained an ETA 14/0413 (European Technical Assessment) and CE marking as exterior cladding for ventilated façades. Owing to these properties, the Dekton® surface can be perfectly incorporated onto façades by means of different types of concealed stainless steel or aluminium fixings. Greenguard: Dekton® has been analysed by the Greenguard programme, certifying that it does not emit any VOC (Volatile Organic Compounds). Dekton® has achieved the Gold Greeguard and Greenguard certification. NSF: Dekton® been tested and evaluated by NSF under NSF/ANSI 51 standard, which is a toxicological evaluation of all product ingredients, conducting proficiency testing and successfully passing impromptu audits annually in all manufacturing sites. ISO 14001: This recognition certifies quality and environmental management system and consolidates Cosentino.